As media has evolved, so too has public relations. In the past, PR practitioners measured success by the number and amount of press they received from sending press releases and pitching stories to members of the media. Today, PR professionals rely more on self-publishing in the form of tweets, blogs and other content. This creates new challenges, though, as people spend more time browsing online rather than reading. Often, web users only read 28 percent of a piece of written content. To capture and maintain attention, public relations practitioners find that being storytellers of their brand leads to the greatest success. In this Blue Paper®, we give you a road map of how to tell a brand story where you’re the hero. We also discuss the three key types of media—paid, owned and earned—and how they work together. And finally, you’ll come away with ideas from our customers who are using PR giveaways and branded clothing to help make connections and get their story told. Paid Media: Media attention that you pay for via ads or influencers. Owned Media: Content you create that positions you as an influencer. Earned Media: When media outlets or other businesses reach out to you as an expert, often due to your owned media. As traditional journalism evolved and social media exploded, PR practitioners started focusing on converged media. Because of this, 87 percent of PR executives don’t think “public relations” will describe the work they perform five years from now, and more than 60 percent of marketing executives feel that public relations and marketing will work together more closely in the future. It’s important to remember that even though these media types have similarities and differences, all of them can be used to share your story with your customers. In the past, paid media was considered marketing’s responsibility, while earned media sat in the PR camp. Like most ads, paid media ads are stories tucked inside other stories. Paid media attracts readers and viewers by offering content similar to the content they’re already consuming. This is done through sponsored posts on social media or on websites with native and sponsored content. Native ads and sponsored content are two methods of using paid advertising in a way that mimics the website that is hosting them. And while they are similar, they are not quite the same. A native ad acts much like a traditional ad. It contains a headline and description designed to get readers to click a link, which takes the reader to a brand-owned site where they can read more. According to research performed by Business Insider, native ads will make up 74 percent of all ad revenue by 2021. Sponsored content, however, is a piece of journalism that is paid for by an advertiser but resides on a publisher’s site. It typically has a label somewhere on the page that denotes it as sponsored content. For example, this The Atlantic® story, “Art of the Thrill,” clearly states in the upper-left corner that it is sponsored content by Porsche®. More PR practitioners are finding that influencers make perfect co-authors of their story. 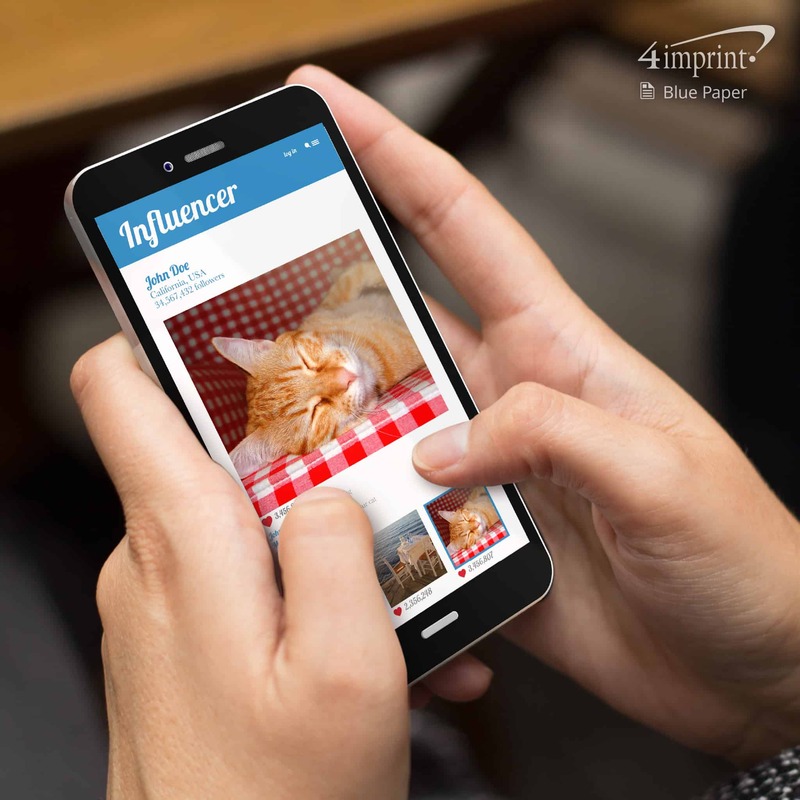 In fact, some of the biggest brands spend a collective $255 million each month on Instagram® sponsored posts. Influencers generally have thousands (and sometimes millions) of fans on social media platforms. And their fan bases cover every type of subject matter—from fashion to food to video games to technology. 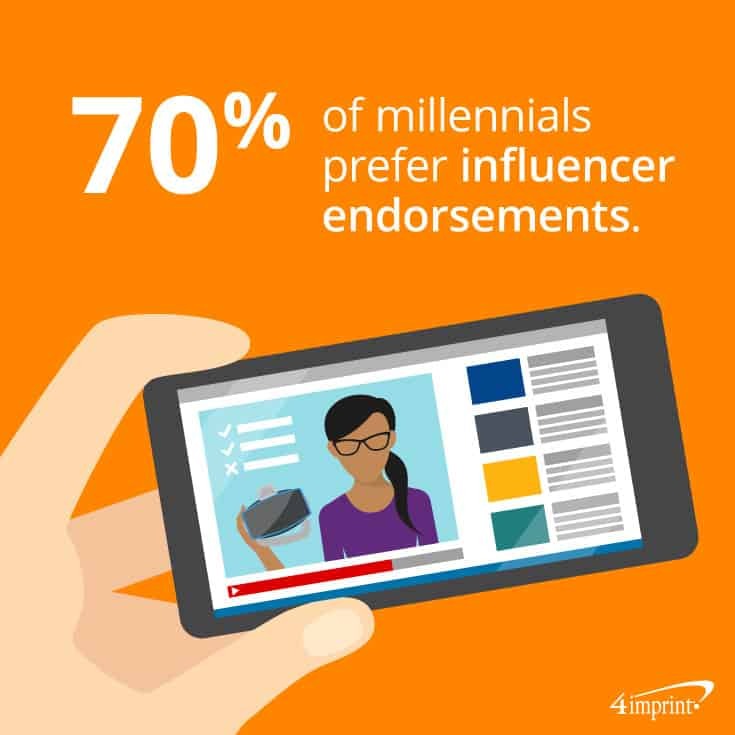 Today, social media influencers are often more influential than typical celebrities, with almost 70 percent of millennials preferring influencer endorsements. The good news is that influencer marketing can be very cost-effective. Some micro-influencers (that is, influencers with thousands of followers instead of millions) are willing to forgo payment to partner with you. But even paid influencers have a strong return on investment. 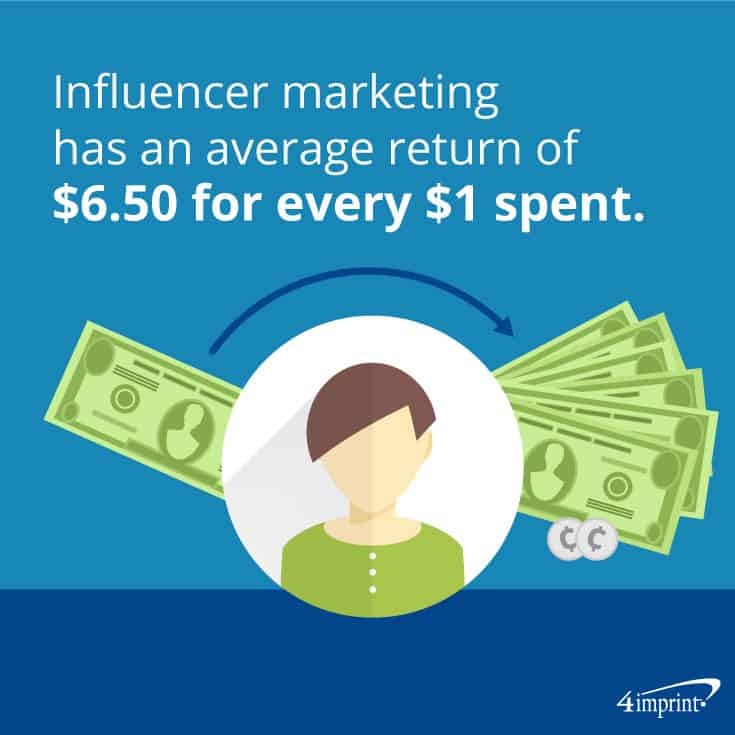 One study showed an average return of $6.50 for every dollar spent on influencer marketing. And 22 percent of marketers said it was the most cost-effective promotional tool, email marketing notwithstanding. It’s also worth noting that you can become an influencer yourself by using your owned media. Just as its cover is the face of a book, owned media is the face of your brand, encompassing everything from your social media channels to your blog to videos you post to your website. According to HubSpot®, because you control your story, owned media is the most important aspect of PR and the strategy most practitioners reach for in their toolbox. Create excerpts of your content and share them on your social channels. Be sure to add an image. On Twitter alone, posts with an image get a 35 percent boost in retweets. Email a link to your mailing list. If you’ve created an infographic, discuss some of the more interesting statistics in detail through blog posts. By giving customers content they crave, you’ll accomplish what any great story does: You’ll make a connection. Plus, by using owned media to position your company as a thought leader in the industry, you may become an influencer—paving the way to greater reach with earned media. Earned media is all about building relationships in your industry and with members of the media, from trade publications to your local newspaper. Although journalism has changed dramatically in recent years, earned media is still viewed as the most trustworthy of the three types. According to Nielsen, 83 percent of consumers trust digital word-of-mouth more than they trust content produced directly by advertisers. Before the advent of social media, PR practitioners primarily spoke to the media through compelling press releases and direct phone calls to discuss story pitches. Today, however, social media moves so quickly that your local media connection is just a tweet or message away. Knowing which journalists cover your industry and familiarizing yourself with their work. Tying your press release to the day’s headlines. If your business is lowering prices because of a tough economy, say so. Making a compelling introduction. Grab attention with your email subject line or social media message. Making it worth their while to contact you. Journalists are often up against a deadline, so answering their questions promptly makes it more likely they’ll contact you next time they need help with an article. Sometimes a visual display of your brand on promotional marketing products can create earned media opportunities—something Pam Edwards knows well. She’s the Director of Organizing at the Massachusetts Senior Action Council, a grassroots, senior-led organization that fights for social justice. Wearing shirts in matching colors has brought the group a great deal of recognition in the community and lots of opportunities for earned media. 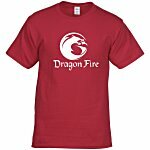 The organization’s shirts and quotes have appeared in dozens of articles in publications ranging from the Boston Globe® to U.S News & World Report®. The branded shirts worked so well that the group decided to keep the recognition going in cold weather—they recently purchased Crossland® Soft Shell Jackets for women and men. In addition to paid, owned and earned media, good old-fashioned networking is essential to every PR strategy. After all, telling your story face to face puts the “relations” in public relations. Sharon Markowitz, marketing manager for the Law Offices of Aaron Katsman in Valley Stream, N.Y., pairs PR giveaways with several networking events the firm hosts each year. The firm, which specializes in real estate law, holds events that get local real-estate professionals talking. To make the gatherings especially memorable, Markowitz builds all the events around a theme. “Last March we did a basketball playoff networking event, and I gave out a lot of items with a basketball theme,” she said. 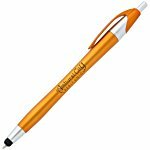 Among the promotional marketing products they passed out were branded orange basketball-shaped stress relievers and basketball-themed fidget spinners. Come prepared with objectives. Know what you want to get out of the event. Are you looking to meet as many people as possible? Or are you looking to forge a relationship with one or two key players in your industry? Going in with a plan will help you build the right connections. Practice your networking skills. If you’re new to networking, practice introducing yourself to a friendly face, the person selling you coffee, or the person behind the desk at the library. And when you go to networking events, carry an interesting book or accessory to make it easy for people to ask questions to break the ice. People love a good story. When you have a best seller, use converged media and PR giveaways to tell your amazing tale. Good luck! 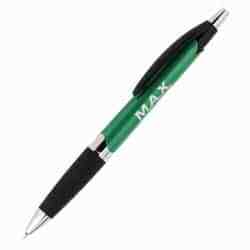 Give away these pens at networking events so people keep your brand handy.